BoNT: Injection of the “crows feet” wrinkles or glabellar frown lines with BoNT. This has the effect of freshening the periocular skin and enhancing the result of the blepharoplasty. In addition, BoNT can also be used to lift the brow, further clearing additional skin and brow descent. BoNT can also be applied to other areas of the face such as the lower jaw and neck. Hyaluronic Acid Filler Injections: Application of fillers to smooth deep lines around the eyes. Skin Resurfacing: Laser treatments and chemical peels of other facial areas may also be performed during an eyelid blepharoplasty procedure. These options have the effect of tightening the skin and reducing fine lines and wrinkles. This is particularly important where transconjunctival ‘scarless’ surgery is employed. Midface Lift: In cases of midface sagging and cheek descent, a disjunction of the eyelid-cheek interface is observed. A midface lift may also be performed if desired and can be very effective in restoring the continuum between the cheek and eyelid. Fat Transfer: This describes the transfer of fat from the stomach or thighs. The fat is removed using a limited liposuction technique and then purified. The mesenchymal stem cells are then isolated and reinjected into the face. This is highly effective in restoring volume and also has the beneficial effect of improving skin quality. Mr Ezra grafts the fat is applied using the latest ‘Microfat’ techniques. Platelet Rich Plasma Injections ‘PRP’: There is growing evidence that PRP can be highly effective in improving skin quality. This is sometimes colloquially referred to as the ‘Vampire facelift’. Blood is drawn from the arm and then the component which is rich in growth factors (PRP) is carefully exctracted and then applied to the face, usually as an injection. 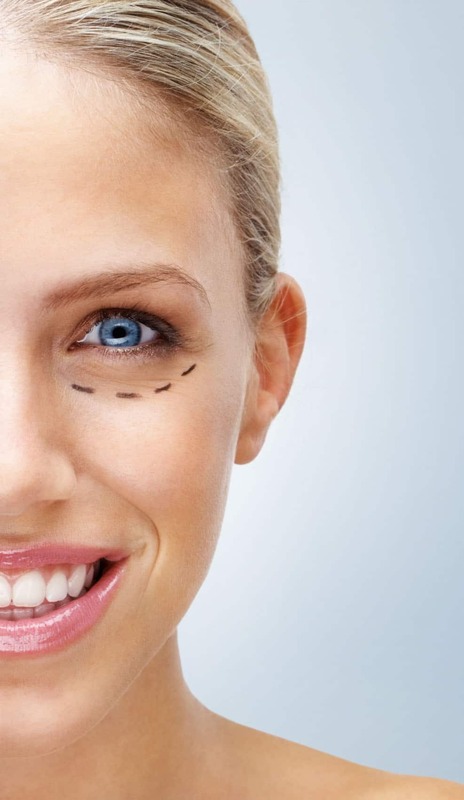 This can be a very effective additional procedure to blepharoplasty surgery.